Our Managing Director has over 13 years’ experience working for many of the major telecommunications and tracking companies. Having gained experience through his hands on apprenticeship within the emergency services sector, he soon realized that there was a gap in the market. It was apparent through talking to these companies that there was a lack of after sales support within the industry. Customers were feeding back that they were only being offered single products not complete solutions. Hence the conception of A.G.I. Mobile Communications Ltd- offering customized solutions for the individual company. It has become our mission to listen to our customers and give them solutions to all of their requirements. We supply an unparalleled service, not only through the sales and installation period, but by also offering an excellent after sales package including ongoing service and technical support. What you need to know about A.G.I. Mobile? Every technician is fully trained and accredited. 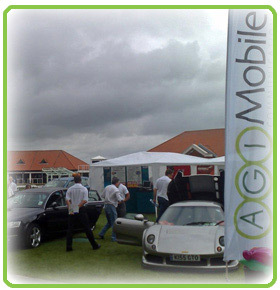 All work undertaken is governed by the UK code of practice MPT1362 for the installation of mobile radio and related ancillary equipment in land based vehicles. We are also a member of the Mobile Electronic Security Federation. Every customer has individual needs. We have the experience, resources and motivation to ensure that we satisfy your requirement successfully. "No job is too big or too small for our experienced technicians."